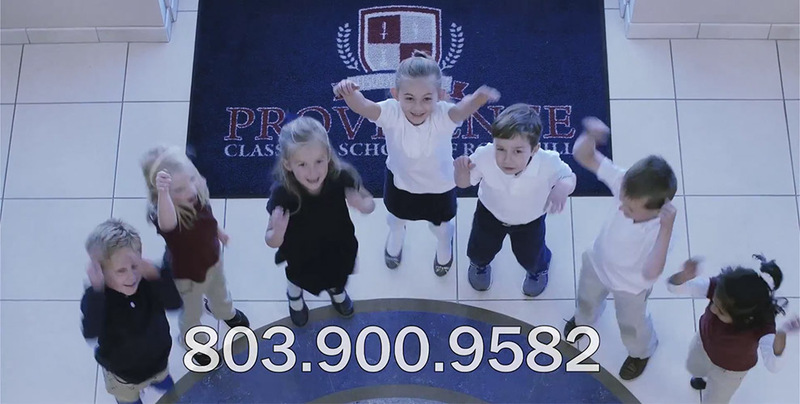 We Love Providence Classical School of Rock Hill! We acknowledge God as the Creator and Sustainer of all things. We believe that He has revealed Himself through his Creation and ultimately through His Word. He is the author of all truth. We were created to know Him and to bring Him glory in every aspect of life. We affirm the Confessional Statement set forth by The Gospel Coalition (thegospelcoalition.org). We exist to partner with like-minded parents in helping students develop discipline, a lifelong love of learning, and the ability to think critically. We believe these skills will prepare them to accomplish whatever God calls them to do in life. We seek to point students to God as they explore what He has created. We believe that God is glorified as students honor Him with their minds, seeking out His truth. We employ methods of teaching and learning that have stood the test of time and that also find support in modern developmental theory. Classical education also includes the study of Latin, the foundation of many modern languages. With additional emphasis on the development of mathematical and critical thinking skills, our school maintains a rigorous and well-balanced approach. We are accredited by the Classical Latin School Association (classicallatin.org).